When a dense sheet of electrons is accelerated to almost the speed of light, it acts as a reflective surface. Such a 'plasma mirror' can be used to manipulate light. 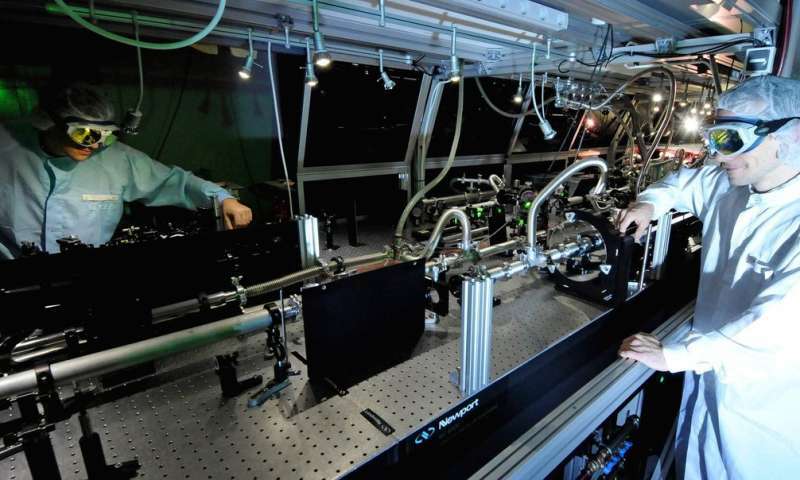 Now an international team of physicists from the Max Planck Institute of Quantum Optics, LMU Munich, and Umeå University in Sweden have characterized this plasma-mirror effect in detail, and exploited it to generate isolated, high-intensity attosecond light flashes. An attosecond lasts for a billionth of a billionth (10-18) of a second. Now researchers at the Laboratory for Attosecond Physics at the Max Planck Institute of Quantum Optics in Garching and Munich's Ludwig Maximilians University (LMU), in collaboration with colleagues at Umeå University, have successfully implemented a new strategy for the generation of isolated attosecond light pulses.